In 2012, Baptist Health announced two new additions to its Kentucky healthcare system – Trover Health in Madisonville and Pattie A. Clay Hospital in Richmond. They merged into the Louisville-based system and today are Baptist Health Madisonville and Baptist Health Richmond. “Larger systems have a better opportunity at surviving in the reform of the industry that is coming,” Andy Sears, chief planning and marketing officer for Baptist Health, said then about the move to acquire those facilities. And he was not alone in this view. Many Kentucky health system and individual hospital leaders have been saying that some form of shared risk via larger networks was necessary to meet needs, move healthcare forward and be financially stable. A question remained, however: Should systems grow market share through acquisition of other hospitals or were there more preferable partnership models? Two-plus years later, there is less talk about consolidating regional hospitals into a handful of competing systems and more about developing strategic affiliations, which is less expensive and more in keeping with the goals of ongoing healthcare reform. In February, Baptist Health Corbin finalized a joint agreement with Community Health Corp. of Plano, Texas, to provide clinical support to 54-bed Jellico Community Hospital on the Kentucky-Tennessee border and its CarePlus Center 14 miles away in Williamsburg, Ky. 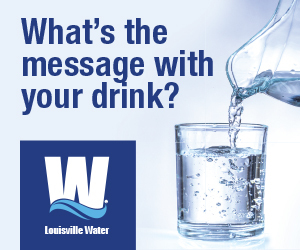 The circumstances and care needs at those facilities are, indeed, substantially different from those of Baptist Health Madisonville and Baptist Health Richmond hospitals. However, Sears now describes healthcare industry strategies in a manner that provides an interesting contrast to his 2012 comments. As the trend toward affiliations continues to evolve, the models industry leaders are implementing now avoid direct acquisition. There seems to be a growing preference for building relationships that emphasize appropriate systemic delivery of medical services across the commonwealth. UK HealthCare has been a pioneer in strategic affiliation development. In the past several years, it has developed a network of mutually beneficial alliances with regional hospitals and health systems in central and eastern Kentucky. 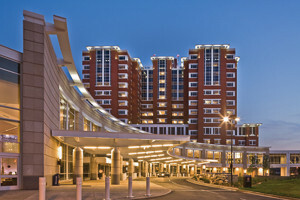 Its cancer treatment network associated with the Markey Cancer Center is familiar to many, but UK HealthCare is also building successful network affiliations in advanced heart care with its Gill Heart Institute and in stroke care via the UKHealthCare-Norton Healthcare Stroke Care Network. Meanwhile, both the Saint Elizabeth Healthcare system in northern Kentucky and Pikeville Medical Center recently entered into formal affiliations with the Mayo Clinic Care Network based in Minnesota. It mirrors UK’s affiliation model. Common themes emerge in interviews with the program directors and leaders about their strategic affiliations. The phrase “care close to home” is common in the marketing signatures of community hospitals. Among the business benefits of affiliation relationships is that they don’t require the capital that an acquisition demands. They are easier to organize. But the most significant benefit, according to Dr. Michael Dobbs, director of the UK Healthcare-Norton Healthcare Stroke Care Network; Dr. Susan Smyth, director of the UK Gill Heart Institute; and Tony Hyott, a planning director at Saint Elizabeth, is that it allows patients to receive appropriate treatment closer to home while allowing tertiary-care hospitals to deliver the advanced treatments best suited to them. Dobbs talked about the success of UK HealthCare-Norton Healthcare Stroke Care Network, an example of the affiliation strategy, which he said began at UK in 2008 when he was “tapped on the shoulder” by Dr. Michael Karpf, UK executive vice president for health affairs, to build a “value-based” stroke care network. “At the time, I didn’t know what that meant,” Dobbs said. He now knows “value-based care” as an increasingly common term to describe a multihospital network that raises care standards across a broad population base with better quality, efficiency and less cost to patients and society. Fortunately for Dobbs and his new mission, three hospitals with established relationships with UK HealthCare were looking for a stroke care partner: Georgetown Community Hospital, Rockcastle County Hospital and Harrison Memorial Hospital. Initially, the idea was to create a telemedicine system, but the communication technology required was beyond the partner hospitals’ means. Had the network pursued that strategy, it risked creating an alliance of “elites” – including only hospital systems with money for advanced technology. They decided on an inexpensive, low-tech method in order to reach many more hospitals and allow them to affiliate. “Our approach was to go into network hospitals and teach their nurses and staff how to deliver better stroke care,” Dobbs said. Meanwhile, somewhat uniquely, neither UK nor Norton is positioned as leader of the affiliation network. “The stroke care network has evolved into a self-learning institution. The member hospitals learn from us, but we also learn from them,” he said. 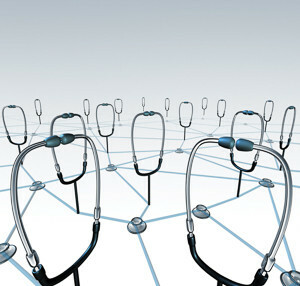 The network acts as a communication medium for every hospital to share ideas. It enabled Harrison Memorial and Rockcastle to talk about what worked for them, he said. More importantly, the network established an effective assessment protocol to determine what type of stroke patient care is best retained at the home community hospital and what should be passed up the line to a larger system. 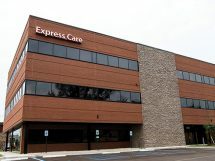 UK HealthCare-Norton Healthcare Stroke Care Network “has really taken off,” Dobbs said, and involves nearly 30 hospitals in three states. Of the roughly 16,000 stroke patients a year discharged from Kentucky hospitals, Dobbs said, around 6,000 of those discharges are from UK-Norton network hospitals. They’ve also done more than 13,000 public screenings for stroke risk. The affiliation model that UK Healthcare and Norton are exploring in their relationships with regional hospital systems in Kentucky and in neighboring states is also being mirrored on a much larger scale involving some of the most respected names in the healthcare industry. King’s Daughters Medical Center in Ashland, for example, announced its affiliation with Cleveland (Ohio) Clinic’s globally recognized Heart and Vascular Institute in September 2014. Saint Elizabeth Healthcare, whose hospitals dominate the Northern Kentucky-Greater Cincinnati region, was the first healthcare system in Kentucky to be accepted into the Mayo Clinic Care Network (MCCN). It was the 10th health system to join the network. 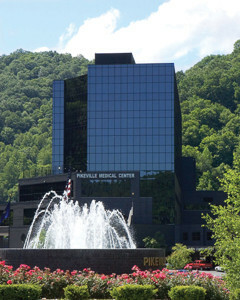 Pikeville Medical Center was accepted into the MCCN a year later. 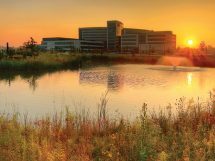 Today, there are about 32 health systems affiliated with the Mayo Clinic. Tony Hyott, director of system orthopedics and neurology as well as planning and program development, was on staff as director of planning when Saint Elizabeth entered into a discussion with Mayo about joining the MCCN network. Saint Elizabeth determined that a national affiliation made strategic sense, Hyott said. It was just finishing the details of its merger with Saint Luke, was managing its finances well by itself and not interested in further acquisitions. St Elizabeth considered Cleveland Clinic, but at the time of their discussion, Cleveland’s affiliation model was focused on its niche in cardiovascular services. The Mayo Clinic model was much broader in scope, Hyott said. “The Mayo Clinic model was not service-line specific,” Hyott said. Actually, a key feature of the network is that it gives Saint Elizabeth’s medical staff access to e-consults with the Mayo Clinic across specialties. While the medical staff is very good, there are situations when Saint Elizabeth patients present sets of symptoms that are unique and unusual, he said. Mayo’s resources are available to allow second and third opinions at no additional cost to the patient. “This is just an added layer of reassurance to patients about the quality of service at Saint Elizabeth,” he said. Formerly when someone presented a serious illness or disease that required specialized treatments, families would pack up and head for Mayo’s location in Rochester, Minn. But healthcare has changed. Similarly to how UK Healthcare specialists talked about their new affiliations are “leveling the field” in access to a standard of care in Kentucky, Hyott echoes that point in relation to Saint Elizabeth’s participation in MCCN. In very rare circumstances would a patient present a case that would demand admission to a Mayo Clinic hospital. The affiliation network is designed to reduce those cases to only those that are right for Mayo’s brand of specialized care, he said. For many patients, even those seriously ill, this means being able to receive highly advanced care in a setting close to home where family and friends can stay in contact. Other advantages include getting medical staff training on new methods of treatment and minimally invasive surgical procedures. 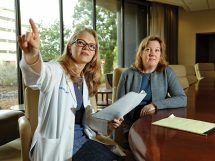 In the last year, cardiothoracic surgeons from Saint Elizabeth were able to travel to a Mayo Clinic hospital to observe and assist in a trans-aortic valve replacement (TAVR) procedure – minimally disruptive heart surgery performed via a catheter inserted through an artery in the groin or a small incision rather than by a large chest incision and spreading the patient’s ribcage. Owensboro Health remains independent but has entered into cooperative relationships with multiple professional medical education programs around Kentucky whose students rotate into its $385 million medical center that opened in 2013. Attaining MCCN affiliation was also an endorsement of Saint Elizabeth’s quality of care, Hyott said. Health systems engage in a lengthy application process, and members are specifically selected by the Mayo Clinic to be included in the network. “They liked what they saw in the Saint Elizabeth system, and it’s been an honor to be able to be a part of it. Certainly, it is a boon to be able to use the Mayo Clinic Network logo in our marketing efforts. But the network has a lot more meat on it than just a promotional tool,” he said. 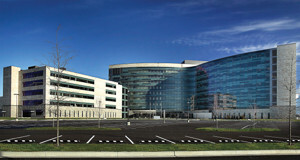 At first glance, it appears that Owensboro Health is unique because it has maintained an independent identity while its peers have either joined a hospital system or sought an affiliation with a recognized national provider like Mayo or Cleveland Clinic. While Owensboro prides itself on being an independent tertiary-care system serving its portion of west-central Kentucky, it is interested in developing collaborative partnerships, said Dr. Chris Toler, chief medical officer of Owensboro Health. Owensboro Health opened a new $395 million medical center in 2013, and the significant patient growth it has experienced in the past five years has made it possible to imagine it forming a Western Kentucky system with which other hospitals would benefit from a connection. It has extended management support to an embattled Muhlenburg Community Hospital in Greenville, Toler said. Aside from service affiliations though, Owensboro Health has actively cultivated relationships with the state’s medical colleges to serve a different purpose. UK College of Pharmacy students rotate through the new facility. The University of Louisville’s School of Nursing has a branch that works directly with Owensboro. The medical system has made arrangements also for Pikeville University College of Osteopathic Medicine’s students to complete their third- and fourth-year rotations in Owensboro. Just as service affiliations with larger provider systems help level the playing field in terms of accessing higher standards of care, these relationships to the state’s medical programs enable Owensboro to upgrade the healthcare quality of their area by recruiting young providers to practice in Western Kentucky. Toler, a native of Owensboro, said he loved returning to his community, and one of the most satisfying aspects of his practice is the independence of the healthcare system. “There is a lot of flexibility that comes from being independent,” Toler said. “Though we’re a large hospital and a major employer, there is still this sense that we have a voice in the changes and direction of the health system here.” Until the hospital began outreach programs with Kentucky’s colleges and universities, it was a challenge to recruit providers to this area. Those unfamiliar with Owensboro perceived it as remote, he said. Because of its location, Owensboro Health has thrived despite the previously prevailing theories about the way in which healthcare systems should grow. At this point, Owensboro is not feeling the same pressures as its peers to seek out a business partner, Toler said.